Acción Ministries was founded in 1989 by Rev. Oscar Dorantes (pictured here with his wife, Thelma). Oscar Sr. worked in his home land of Mexico’s Yucatan Peninsula for over 20 years. The organization embodies his vision of bringing Americans to partner with Mexican villages and Presbyterian Churches to meet the physical and spiritual needs of the Mayan people.Friends of Accion, Inc., a U.S. 501(c)(3) nonprofit organization, was founded in 2003 to help fundraise and provide financial oversight of Acción . Essentially all funding for Acción comes from the U.S., so this organization was needed to coordinate financial support from individuals and churches, especially as the programs of Accion expanded to student homes that require ongoing monthly support.The vision continues to expand. In 2008, Rev. 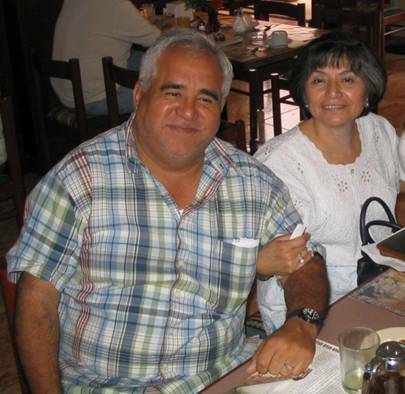 Dorantes retired and his son Oscar R. Dorantes took over the position of Director of Acción Ministries. Please, explore this site to see how Accion operates several programs to carry out its mission, supported by Friends of Accion. Check out our brochure and Powerpoint slideshow to learn more or share with friends.